Java RETAIL Styling Vanity w/ J05 Java Mirror & Ledge. 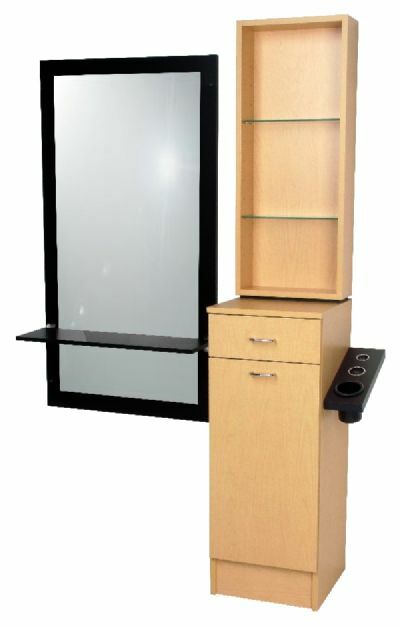 Includes upper RETAIL display w/ adjustable glass shelves and J05 Java Mirror & Ledge. 15"W x 15"D x 75"H plus 5" wide angled tool panel. J05 Java Mirror & Ledge Assembly is 28" wide.